- We should fight by using primarily prevention, and then direct aid and assistance. Local network and volunteers have shown immense effort and initiative to support this topic, and they are also hungry for knowledge. This is the group we are addressing and among which we want to raise the awareness of this issue – said Radojcic. Aside from prevention, she says, it is necessary to keep working on the protection of human trafficking victims and their identification, especially in the context of refugee population. - Anyone can be a victim of human trafficking; however, the statistics show that these are mostly women, i.e. marginalized girls in our society, that is the reason why they remain unnoticed for quite some time – concludes Radojcic. To mark European Day Against Human Trafficking, in the District head office premises in Vranje a roundtable on "Human trafficking stereotypes" was held, organized by Local network for combating human trafficking of City of Vranje. 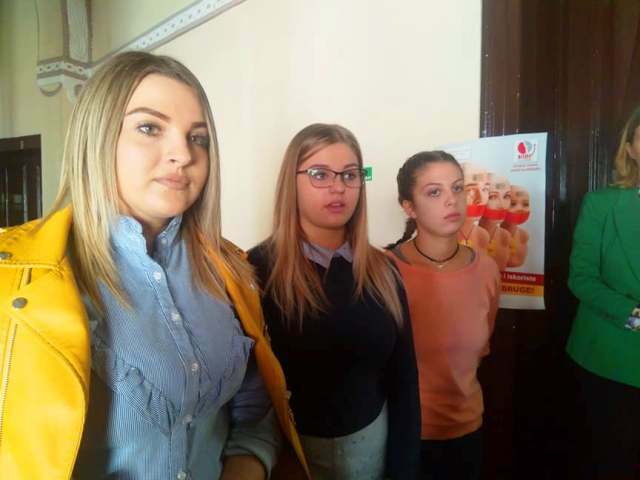 According to the vice president of Local network for combating human trafficking in Vranje, Beba Kanacki, the purpose of this roundtable is to talk to young people about stereotypes and terms related to trafficking, which are unfamiliar to many of them. - I am very pleased and thrilled to see such a high participant turnout. This means that we will have much to discuss, and we also have a reason to celebrate because we got a theater projector and a screen for the Red Cross volunteers. 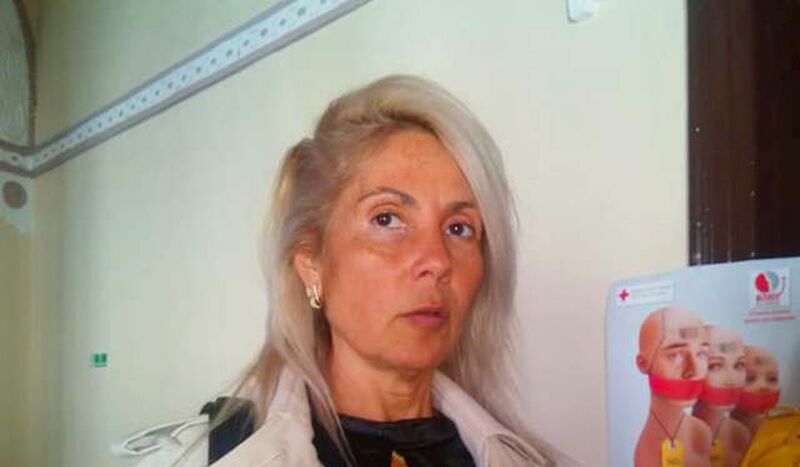 The donor is Citizens’ Association Atina from Belgrade who is the partner of the Local network and I would like to thank them now – stresses Kanacki. According to her, in the upcoming period five workshops will be organized in the Reception center for migrants in the period from October 22 to November 16, as well as in high schools where presentations will be organized in an effort to inform all children on the human trafficking issue. The roundtable was attended by the representatives of high school student parliaments at the territory of Vranje and Vranje Red Cross volunteers. 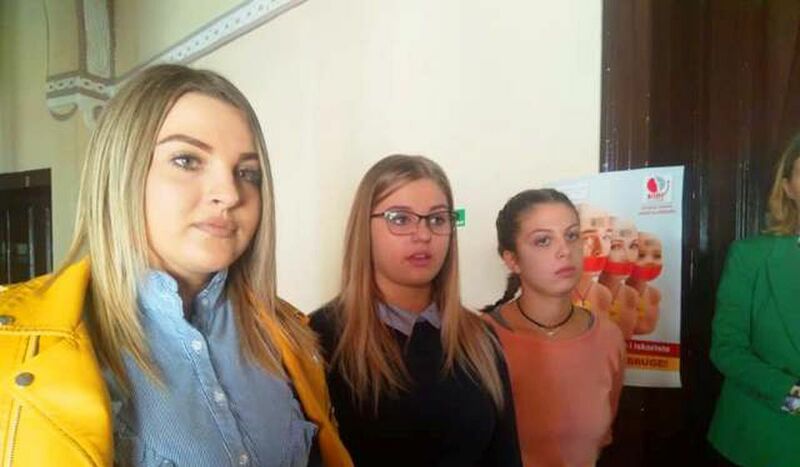 A representative of student parliament of Arts and Humanities High School Bora Stankovic and Red Cross volunteer Melanija Stojilkovic, believe such presentations are necessary, not only to the youth, but also to other citizens because trafficking in humans is present in all cities, to include Vranje. - It is essential to inform people as much as possible on this topic. Many people are not aware to what extent trafficking is present and everyone thinks it does not happen in their town, and this is exactly the reason why this type of presentations should be organized more frequently– emphasizes Melanija. A representative of Medical High School parliament Milica Gogic says she is attending today’s presentation to inform as much as possible and to pass on that knowledge to her peers. - I think we should have as many such gatherings as possible since human trafficking can be very dangerous and that is why we should all be engaged in the fight against it. That is a crime that is harming human dignity and basic human rights and freedoms – stresses Milica. 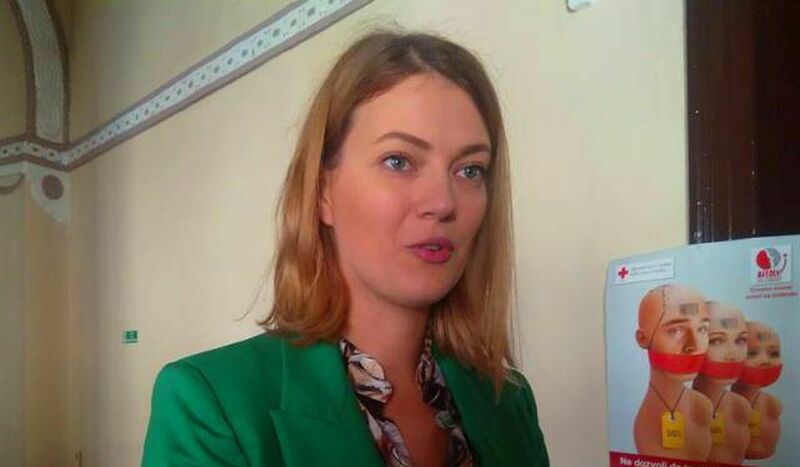 Red Cross volunteer Tasana Milenkovic, says that their goals is to have as many presentations as possible so that they can familiarize the citizens with the human trafficking issue, to inform them about when, where and why it is happening. 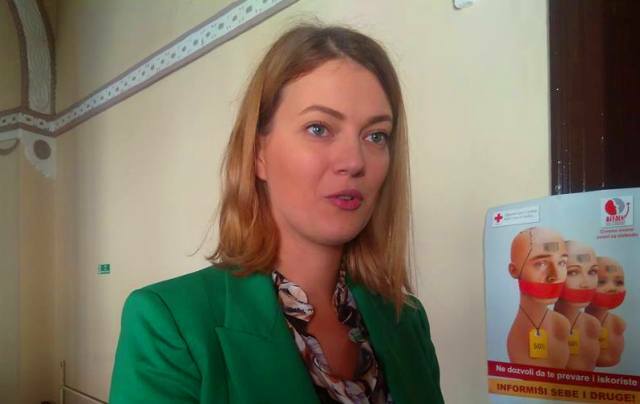 - We want to familiarize them with the factors that impact the occurrence of human trafficking risk and by doing so enhance their security, prevent and suppress human trafficking which is a severe issue – points out Milenkovic.